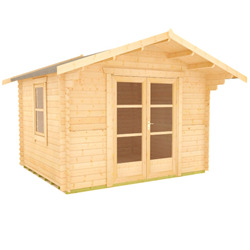 These small log cabins are perfect for maximum impact while taking up minimal space. 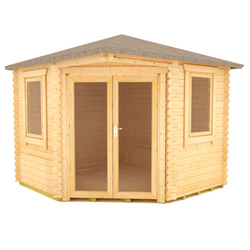 Manufactured from premium grade timber with high quality fittings throughout, these log cabins will be a beautiful feature in your garden for many years to come. 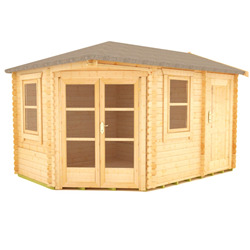 You can choose from a variety of styles, sizes and log thicknesses to find the ideal log cabin for your needs. 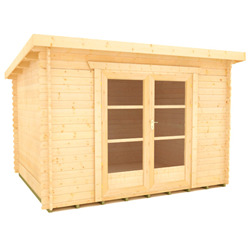 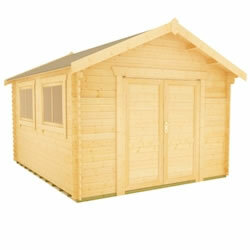 Find out more about our Small Log Cabins range. 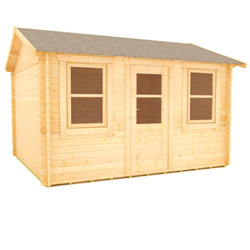 If you're tight on space, that doesn't mean you can't upgrade your garden and enjoy the possibilities a log cabin has to offer. 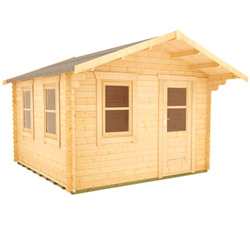 Our small log cabins are perfect for making the most of a smaller garden. 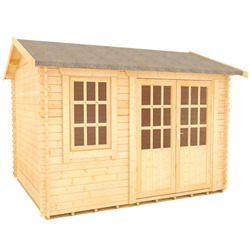 Whether you want a home office, room to entertain or a garden retreat, our more compact models will fit into most outdoor spaces. 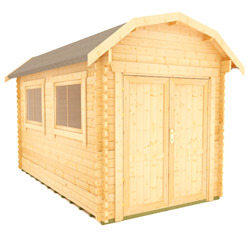 Our log cabins are made to order using slow grown timber for increased durability and aesthetic appeal, with modern as well as traditional designs available. 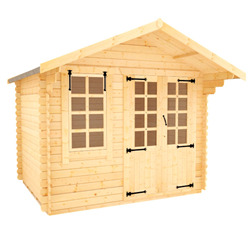 Featuring high quality, interlocking logs and tongue and groove boards for the roof and floor, our buildings will be sure to impress - whether you want a summer log cabin or a year-round escape. 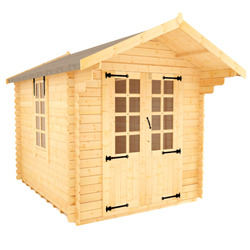 Log cabins are the perfect places to focus on hobbies, as well as work or business, or simply sitting back and relaxing in your garden. 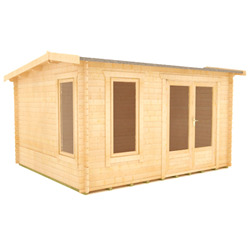 Many of our buildings can be made bespoke, giving you the option to change the configuration to your needs. 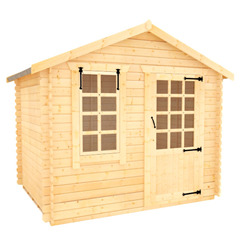 Phone our helpful sales team on 0113 205 4189 for more information.